translation: Antonieta was a journalist, teacher and a politician. An inspiration to the Black Movement who was erased from the history books, she was an active defender of women's emancipation, of everyone's right to a quality education, and for the recognition of Black culture, especially in the south of the country. 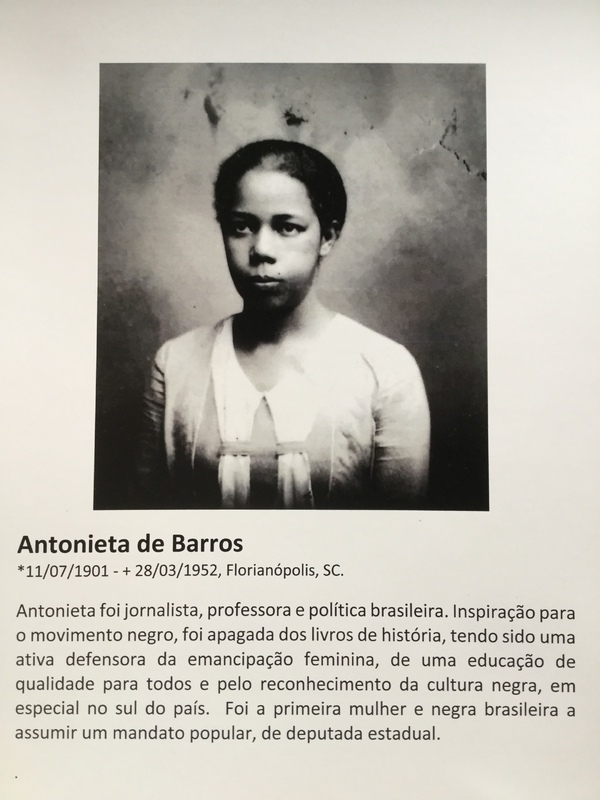 As the first woman and the first Black Brazilian to win a popular election, she became a State Representative.